I'm a bit of an old misery when it comes to Valentine's Day. Obviously I'd graciously accept delivery of a dozen red roses and a box of chocolates from a handsome mystery man but I'm fairly certain they won't be arriving this year. I was, however, incredibly excited (and lucky!) to receive an early Valentine's Day parcel from the lovely Holly of Holly's Lollies. 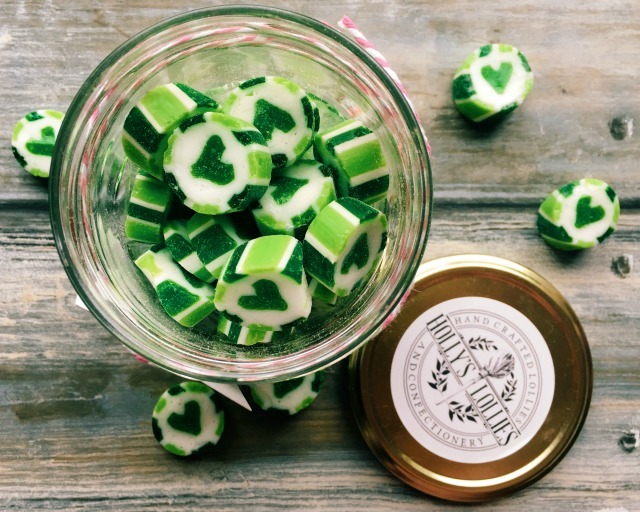 Boozy sweets are SO much better than chocolates and flowers, don't you think? 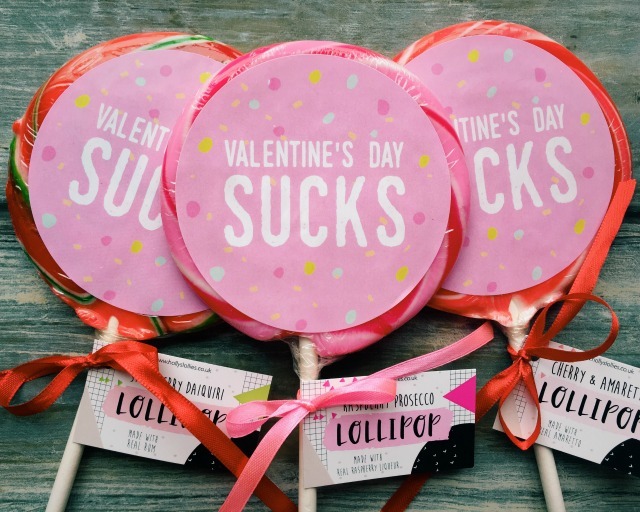 I absolutely love these giant lollipops. 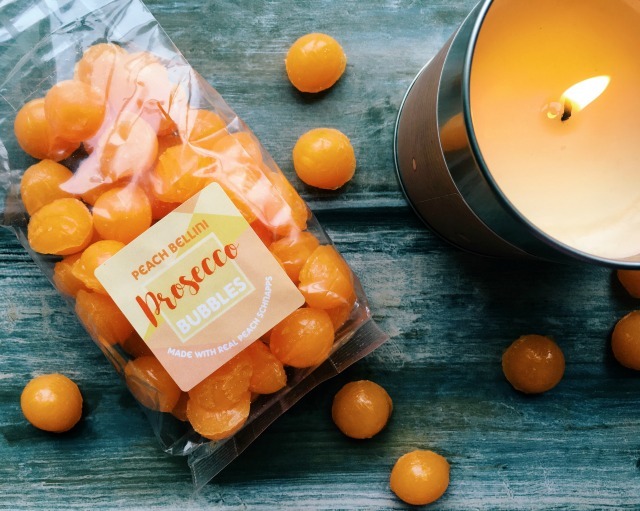 I'm such a sucker (excuse the pun) for a quirky gift and am also a big fan of supporting indy businesses. I can't help but think these would make the perfect token gift for anyone feeling a little grumpy this Valentine's Day. 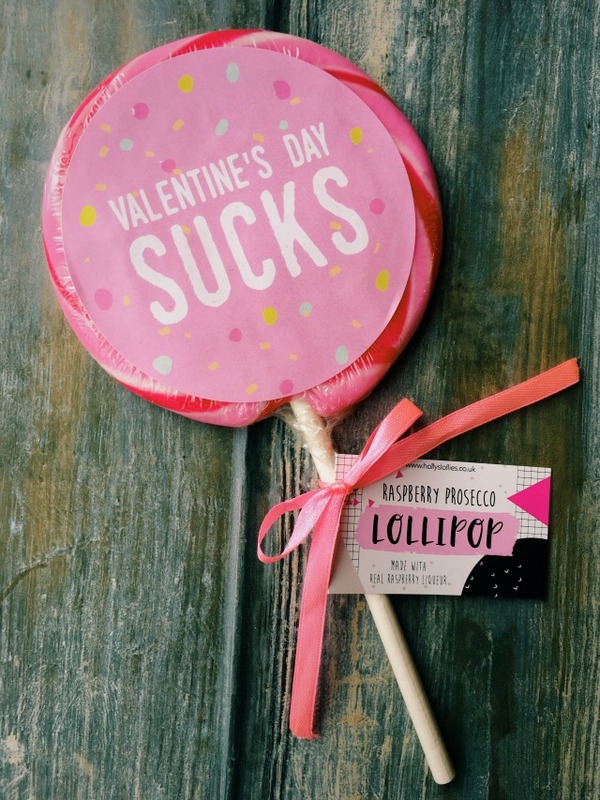 Available in six flavours; Strawberry Daiquiri, Whiskey & Cola, Gin & Elderflower, Passionfruit Mojito, Cherry & Amaretto and, my personal favourite, Raspberry prosecco, these lollipops really are giant (10cm in diameter, no less!) and are a bargain at just £3.95 each (with super reasonable postage charges too - just £1.80 if you're only sending out the one). But back to those awesome lollipops. Everyone deserves a little pressie on Valentine's Day so I have a box of three up for grabs for one lucky reader. Entry is via the Rafflecopter widget below. The giveaway closes at midnight on 9th February and the winner will be contacted the following morning to arrange delivery prior to Valentine's Day. This giveaway is open to UK Residents only and the prize will be sent direct from Holly's Lollies. The winner may receive any three of the six flavours mentioned above. Of course, if you don't win the giveaway you can win yourself some mega brownie points by treating your BFF/boyfriend/girlfriend/husband/wife to some goodies of their own (or treating yourself! No one will judge you here!) Order by Friday 10th February to guarantee delivery in time for Valentine's Day. I was sent a parcel of Holly's Lollies goodies in exchange for this honest review. As always, all words are honest and my own. What a great idea! I am single!